Who is Kay Sayce? Who is Ann Batko? I’m trying to find out who Kay Sayce is. I know she (he?) 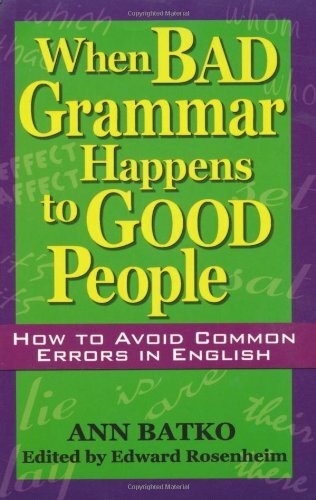 is the author of a usage guide called What not to write: A guide to the dos and dont’s of good English (2006). The book is included in the HUGE database. But I’d like to know more, such as what made her write the book? What else does she do besides writing a book this? WorldCat lists a book called The Zimbabwe Student’s Handbook (1989) and some other publications. So it appears that she used to be a university lecturer in Zimbabwe. Some other books suggest an agricultural background. So who are these writers, what makes them experts at the topic they write about? Can anyone help? This entry was posted in biography, usage guide and tagged Ann Batko, Kay Sayce. Bookmark the permalink. 3 Responses to Who is Kay Sayce? Who is Ann Batko? There’s a good overview of Kay Sayce’s background on the Overdrive website; it appears she has definitely earned her writing and editing chops. Ann Batko has her own website but has morphed into a Marketing maven. 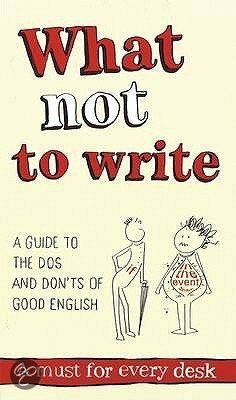 Hello – I am Kay Sayce (now Kay Powell), author of What Not To Write. Do get in touch if you want to know more about my publishing background.